Zack returns in book number two of the series. No worries if you missed book one, ME AND MY BIG MOUTH, where Zack tries to save the sixth grade dance. This is a totally new adventure set two weeks later. Zack is back to his normal self staying clear of bullies and generally keeping a low profile at Davy Crockett Middle school in San Antonio, Texas. It lasts about 7 pages when Zack spots the new girl he must talk to, but an embarrassing loss in a key part of his clothes disrupts that move. Zack tries many more times throughout the story to get this girl to talk with him, but she won’t. It’s not until the climatic ending when Zack finds out why. Funny and memorable, Zack is sure to please reluctant readers with the 30 short chapters. His narration is spot on and you’ll learn a few things about the culture and community of San Antonio. Who knew something called a cascarone would bring so much delight to a middle school. Even without one, this story brought delight to me. FULL PLOT (From Amazon) Zack Delacruz is back—and eager to meet Abhi, the new girl at school. But things get off to a rough start when he accidentally knocks her to the ground during a game of dodgeball. And whenever he tries to make amends, she just ignores him. Nothing works—not his friends’ advice or his “lucky” cologne. In fact, he just seems more and more cursed! Then, at the Fall Fiesta-val, Zack finally learns the real reason behind Abhi’s cold shoulder . . . but not before total chaos erupts. With a runaway train, exploding confetti-filled eggs, and Abhi’s terrifying older brother, will Zack ever get a chance to talk to his crush? In the end, Zack learns what it means to believe, to listen, and to be a good friend. San Antonio is a setting I’d never read in an MG book. Having visited the city myself, it was fun to see it from the inside through the author’s eyes. Middle school for a sixth grader is portrayed to perfection here. One day you’re in elementary school on top of the heap, then middle school slams you hard with the realities of growing up. Zack’s parents have joint custody. It’s an accurate view of life for the parents and Zack. Any bad day at school you’ve ever had will seem like a minor inconvenience compared to what Zack goes through. The inside covers have an illustrated page of students in the front and faculty in the back. A yearbook style look at the diversity and quirks of those pictured. I wondered if Mrs. O’Shansky, the head cafeteria lady, had made the tables-are-for-eating-students sign. If she did, she ought to loosen her hairnet for more blood circulation to her brain. One thing’s for sure, whoever wrote that sign didn’t have Mrs. Harrington for English. That lady is all about “your writing making sense.” You have to know what punctuation means. Especially when it’s “published,” and I know anything laminated is definitely published. ABOUT THE AUTHOR Jeff has been sharing writing strategies with teachers and students for over 25 years. Whether presenting at national conferences like NCTE, ASCD, or in classrooms or writing his books for teachers or middle grade readers, Jeff’s passion for writing and grammar inspires teachers and young writers to soar. When he’s not writing with his “revising” dogs at home near downtown San Antonio, Texas, he’s walking, talking, or doing staff development around the US (and sometimes New Zealand). To learn more visit Jeff’s web site on writing and publishing at WRITE GUY. The Cybil’s MG Fiction winner for 2016 is GHOST! Ghost is a true joy to read, share, and celebrate the powerful messages. You’ll remember many of the passages long after reading. Ghost’s spot-on unique voice and amusing insights are surprising and always in character. This budding track star has a lot of societal strikes against him: poor, African-American male, a victim of violence, child of a single-parent household, and his father is in jail. It would be easy for him to give up and join a gang, but instead he discovers the power of teamwork and consequences for his poor choices. Ghost is an engaging and fully realized character and many kids will find something to relate to. The supporting characters are also multi-dimensional, each with a story of their own. This begins with Coach. The benefits of hard work and practice are something Ghost would never realize without him. He is a strong figure who has something to offer his team and a willingness to stick with these kids. The storytelling is endearing and diversity takes center stage. Author Jason Reynolds deserves a victory lap. We’ll sit back and anxiously await the next book in this track and field series. See the full set of winners on the Cybil’s site. It was a fun experience interacting with the other four judges over the seven nominees. Email was the preferred mode of communication and for two weeks each book had its own email thread. My mailbox was overflowing. About a week ago an eighth thread asked the important question–Which books are on top of your list? I had two favorites and one of them appeared on every judges’ final list. No more discussion needed. I’m so pleased with the choice. Make a comment below if you have time. I enjoy reading all of them. 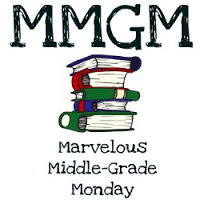 This entry was posted in Reviews and tagged Jeff Anderson, male protagonists, Marvelous Middle Grade Monday, MG book reviews, Middle grade, Middle Grade Diversity, Zack Delacruz:Just My Luck. Bookmark the permalink. I liked Zach a lot, but wish the books were in jacketed hard cover. So glad you enjoyed your time with the Cybils– can’t wait until tomorrow! Yes, those type of covers quickly unravel in the hands of young MGers. Zach sounds like a great character and awesome that this will appeal to reluctant readers. Will be excited to see the Cybil winners. Glad you enjoyed it. This sounds like a fun contemporary series! I’ve wanted to visit San Antonio ever since reading SWITCHING WELL by Peni R. Griffin. I’m trying to read more books with diverse characters and diverse authors. Right now I’m reading Matt de la Pena. It’s YA, though. Yes, it does sound like a contemporary book that reluctant readers would love. I’m hoping for one of the MG books. Good selection this year! Did they lump both the MG and YA nonfiction books together, so there will only be one winner? Not sure about that. I do see they are combined into one list on the CYBIL’s site. We’ll see how it all pans out tomorrow. Sounds like an awesome series!! Zach sounds like a great kid. I will have to get this book and read more about him. Greg, I’m glad GHOST won the MG category. The book I nominated won. I am so happy it will get even more attention! My other choice was Ms. Bixby’s Last Day. So great your non-fiction choice won. I’ll be tracking that one down. Love your book selection – and especially your comment that “any bad day at school you’ve ever had will seem like a minor inconvenience”. THAT puts it all into perspective. And exploding confetti. But esp. the setting, because San Antonio is pretty cool. Both of these sound really good and I bet boys would enjoy them.